Chennai, Nov 19: FC Goa saw off a stirring fightback from Chennaiyin FC as they won 3-2 in their opening match of the fourth Indian Super League (ISL) here on Sunday. Goals from Ferran Corominas Telechea (25th minute), Manuel Lanzarote Bruno (29th), Mandar Rao Desai (39th) exposed Chennaiyin's weaknesses in their defensive structure in the first half. Down 0-3 at half-time, Chennayin came roaring back as Spanish Inigo Calderon's free-kick was poorly handled by Goan custodian Laxmikant Kattiani in the 70th minute. Raphael Augusto converted a penalty 13 minutes later to give some nervous moments to Goa but the visiting outfit managed to seal a close win. 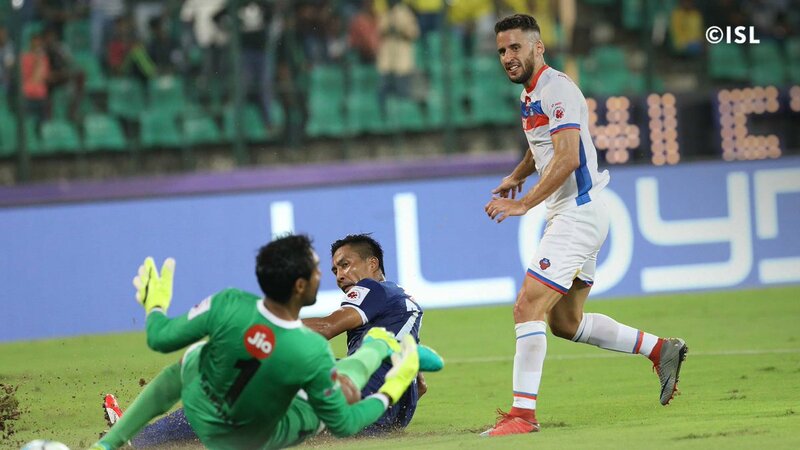 The first two matches of this ISL season went goalless and at the Jawaharlal Nehru Stadium here, the two teams didn't have signs of ending the drought at the beginning. Both the teams were sluggish and it took 19 minutes for Goa to show their intent. Telechea nicely set-up Brandon Fernandes with only the keeper to beat but the latter went for power instead of accuracy and hit it over. These two players then led a superb counter-attack following a corner for the hosts in the 25th minute before Telechea drove to the low right corner of Karanjit Singh's goal. Four minutes later, the Chennaiyin goalkeeper was tested again. He denied Telechea before diving forward to stop Mandar Rao Desai on the left but Bruno grabbed the rebound and sent in a lob that hit the underneath of the cross-bar and went in, silencing the home crowd of 18,200. Despite trailing 0-2, Chennaiyin didn't correct the chinks in their defensive organisation. When they went ahead, they left a lot of spaces which exposed them to counter-attacks. 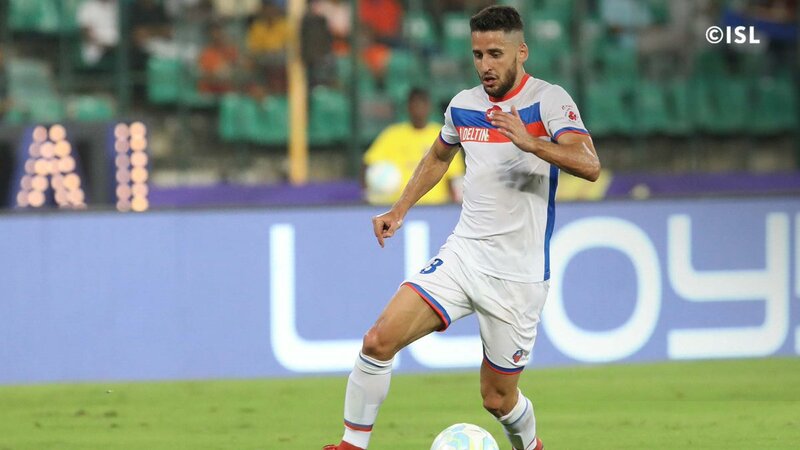 Goa came up with another counter-attack and the hosts conceded their third goal in the 39th minute as Bruno turned assist-maker for Desai, who rolled the ball past Karanjit. Brandon continued to be impressive. He could have scored the fourth goal but he fired a crispy free-kick which went inches above the goal ost before half-time. Nelson made instant impact, although he was denied by the side-bar in the opening minute. Jeje Lalpekhlua too will consider it unlucky after being denied by the woodwork. With these two chances, Chennaiyin made a fresh start and upped the ante against Goa, who were having a 3-0 cushion. Chennaiyin made some desperate attempts but the visitors held on, quite intent on preserving their lead. The hosts pounced on the defensive mindset of the visitors and Jeje was brought down inside the box, earning a penalty which was converted by Brazilian midfielder Augusto. In the final few minutes, Chennaiyin used all their firepower but Goa held on for the 3-2 win and pocket three points.